Should I translate my website? That’s a question many business owners ask themselves. For good reason. The Internet is bringing the world together. In an increasingly international business environment, offering your website in other languages can be a worthy business strategy. English has long dominated the World Wide Web. Still does. As of the moment of this writing, the English languages makes up a little more than 26 percent of the Internet. That means, if your site is in that particular language, it appeals to the majority of online users out there. The bad news: it neglects the other 74 percent. That doesn’t seem right, does it? After all, that’s millions of users. Plus, it’s a growing group. 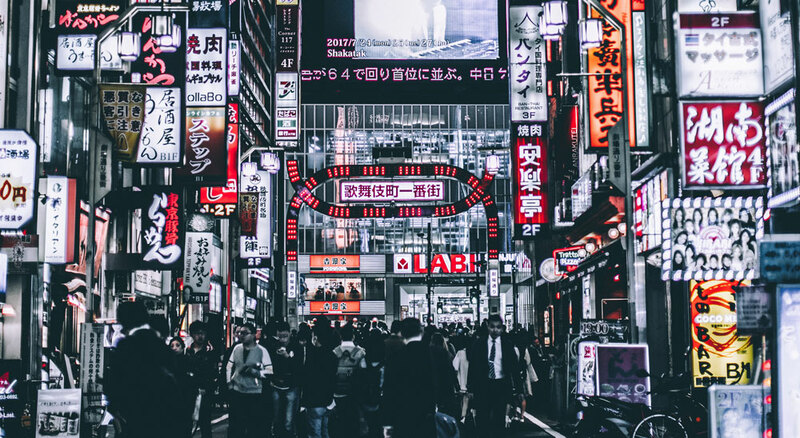 While the English-speaking world is already well connected to the web, other languages like Chinese, Arabic and French still have millions of new users to add to the mix. A huge opportunity for growth in the future. In short, everyone who is doing business on the net (and who isn’t these days?) should consider serving their site in more than one language. However, for some types of businesses it makes even more sense than for others. For that reason, in this article we want to look at a number of businesses for which translating their website is not just optional but pretty much par for the course. Is yours one of them? Find out below. So, without further ado, here are six types of businesses who can greatly profit from having a multilingual website. For anyone doing business on international markets, translating your website should be a no-brainer. Language is often underestimated as a selling factor. However, in a study almost 60 percent of participants said that being able to get information about the product in their own language was more important to them than price. Let that sink in for a minute. Consumers care more about learning about your product in their native language than how much it costs to purchase it. That also means that even if your site is available in English, which is widely recognized as one of the world languages, many consumers will still shy away from clicking the buy button because they are not sure they understand everything correctly. Want proof? Isreali underwear retailer Under.me doubled their conversion rate in Germany and France after localizing and translating their sites for those markets. And yes, before doing so they were already offering an English website to their customers. Such is the power of translation — a tremendous investment into customer service, building trust and credibility for your brand. Of course, this doesn’t just apply to retail. Wholesale, import/export businesses and everyone else operating internationally can also greatly benefit from having translated website content. Even if you are not yet actively selling to other countries, if you are offering worldwide shipping, translating your site can still help open up new markets and streams of revenue. It might come as a surprise but not every country in the world only uses one main language. I know, crazy right? As if learning to speak one language growing up wasn’t hard enough. However, that’s exactly what people living in Switzerland (French, Italian, German), Belgium (Dutch, German, French), Canada (English, French) and other countries with several official languages do. Yet, it doesn’t even have to be an official language of the country for it to make sense to translate your website into. Many countries have large subgroups of people who speak a second primary language. For example, in the USA there are 41 million people whose native language is Spanish. That’s 13 percent of the population and not a small number. 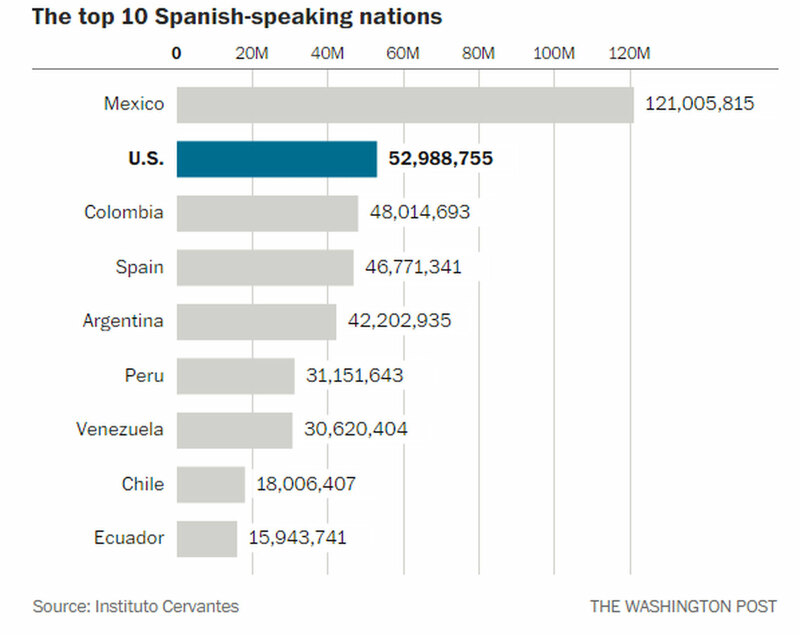 The total number of Spanish speakers is even higher. You might have similar groups in your locality that you are currently neglecting. If your business is located in one such country (or plans to expand there) you won’t get around translating your site. Unless you want to leave a whole lot of your consumers out in the cold, that is. Plus, in some localities (for example, Quebec) offering websites in the official languages is part of local law. Retailer Anthropologie had to find that out the hard way. As we have learned earlier, English is not always enough and having access to their native language is tremendously important to consumers. Getting information in their mother tongue makes it much more likely someone will book a tour with you, stay at your place or take advantage of your services. This is also valid for other businesses that cater to tourists such as hospitals and government agencies. For businesses with physical products it’s not always easy to branch out into other countries. There is a lot to consider such as shipping costs, opening up local brick and mortar branches or storage facilities and other real-world concerns. However, companies who deal in digital products and services have no such concerns. All they need to do is localize the offerings on their website. They already have the means to sell to anyone any time. This makes it easier to branch out to other parts of the world. Especially since plugins like Easy Digital Downloads make WordPress the perfect vehicle to sell digital goods online. However, besides translating products, it’s just as important to adjust the website they are being sold on. That usually means translating landing pages, documentation and other web property. Thankfully, services like Weglot make this a piece of cake, too. And the effort is worth it. For example, for the streaming service Netflix branching out into other localities is central to growing their business. While your company might not work on the same scale (yet), it can still greatly benefit from translating your content. Anyone who has a website is at least somewhat concerned about SEO. Even if you are not an expert, chances are you have heard of it and at least know that it matters. However, many still underestimate just how important it really is. For example, you might be surprised to hear that 92 percent of all online experiences start with a search query. That’s right, 92 percent! In addition to that, the search result in first position gets somewhere between 30-45% of the clicks (depending on whether it is a branded or unbranded search query), falling to 12-15% for the third place and less than 2% in the last two positions. That means if your site doesn’t show up high in the search results, there is little chance customers will click on your link. The likelihood gets even slimmer if you don’t even make it to the first page. What does that have to do with translations? Well, when people search for anything on the web, they usually do so in their own language. That means, if your site does not exist in the language your (potential) customers use, they will forever be oblivious to your existence. In addition to that, having more than one language on your site allows you to cast wider net because more people will be able to find you online. For example, blogger Neil Patel increased his search traffic by 47% after translating his blog into 82 languages. You might not have to go to such lengths, however, it shows the effect that translating your website has on search engine performance. Plus, we already mentioned the effect of translations on conversion rates. These are also directly correlated with the time visitors spend on your site. The latter is another sign for Google that you offer high quality content and it will reward you for it. Analytics can tell you a lot about website visitors and their interests. They can also tell you where site visitors are coming from. If you own a website, chances are high you get at least some traffic from other countries. If that is the case, you can find out in your analytics. 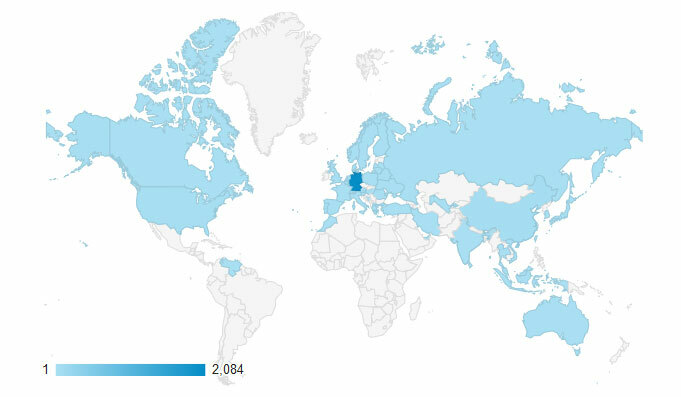 To do so in Google Analytics, go to Audience > Geo. Here you can not only check the location of your visitors but also their browser language. If you find that there is already ample interest in what you have to offer from another locality, it might make sense to implement language support for this very place. When you do, it can also be the first step to open up serious traffic (and revenue) from a new market. So, Should You Translate Your Website? Adding additional languages to your website is a solid business investment. In a growing international online environment, accommodating visitors from other localities is a good way to grow business and revenue. While translating makes sense for many businesses, it’s especially suitable for those on the list above. If you are still asking yourself “should I translate my WordPress website?“, a good rule of thumb is this: if a significant part of your business comes (or could potentially come) from other countries or if your are operating in a space with other primary languages, translation is probably a good investment. In addition to that, doing so can be a good way to move past your competitors. After all, website translation is a business investment not everyone is willing to make, is because it’s not always easy to see the ROI. However, as we have seen above, it’s clear that translating your site provides clear business benefits. Finally, with WordPress we have a tool that makes translating your website easy and affordable. To get started, check out Weglot. Our plugin makes automatic translations of your website seamless, is SEO friendly and offers many more benefits. Have you translated your business website? How has it helped you? Let us know in the comments section below!